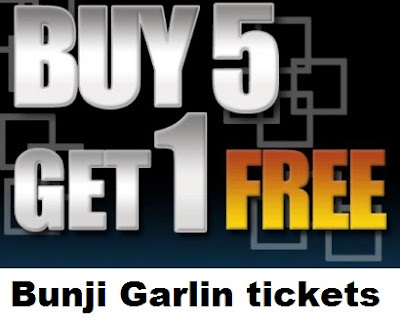 Buy 5 tickets to Bunji and get 1 more free! NOW, THIS WEEK ONLY when you buy 5 tickets you will receive ONE EXTRA TICKET FREE! Didn't make it to Cropover this year? Couldn't get out to Toronto for their Caribbean Carnival? The cure for your 'Carnival Tabanca' is just days away! Receive a promotional code via email for your extra ticket. Make the 'lime' bigger, or use your free ticket to introduce friends to Soca music. The choice is yours because the ticket is FREE! This is your last chance to get the group together and come out for Calgary's last big Soca show of the summer.